Commercial plumbing has to endure a lot more than a residential plumbing system. 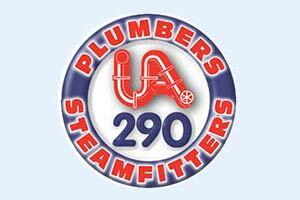 From customers to employees, a lot of people expect your business plumbing to function! Whatever your commercial plumbing repair needs may be, D&F Plumbing is committed to meeting those needs to your satisfaction. Routine Maintenance plans: These plans are designed with your particular system and needs in mind. Plumbing Repair: Whether you have a leaky faucet, or your water heater is on the fritz, just call us. We’ve got you covered! Plumbing Repiping: All pipes need to be replaced eventually. Have yours replaced by the best! Video Inspections: Plumbing video inspections can provide all the information you need to discern the current status of your plumbing system, and/or diagnose any troubles you may be encountering. Need Help with Commercial Plumbing Repair? Plumbing Emergencies: We are available 24/7 to resolve your plumbing emergencies. Long-term Care: With regular maintenance, we’ll be able to fix small problems before they turn into big ones. Individual Solutions: We’ll know your business inside and out, so we can recommend the best and newest plumbing features available! Do I Need Commercial Plumbing Repair? All of these potential consequences have a single result: by fixing a plumbing issue yourself, you may spend more money in the long run! D&F Plumbing has experience providing superior quality commercial plumbing services to a wide array of commercial businesses. The plumbing professionals with D&F Plumbing are discrete, know how to quickly diagnose the cause of plumbing emergencies, and resolve the issue without disrupting day to day business. If your business has multiple locations, we would be happy to provide service to them all! Call D & F Plumbing today for your commercial plumbing repair consultation!